I still have some of my Little Golden Books from when I was a child – the crackly gold foil spines, the distinctive illustrations and the jolly stories were amongst my favourites (so much so that I didn’t have a comfort toy, I had a copy of Hush, Hush It’s Sleepytime). Author Diane Muldrow has taken the sage advice that can be gleaned from Little Golden Books and compiled the ultimate guide to life for grown-ups – Everything I Need to Know I Learned From a Little Golden Book. Muldrow, a longtime editor of the iconic Little Golden Books, realised that despite their intended audience and whimsical appearance, there was hardly a real-life situation that hadn’t been covered in the stories. 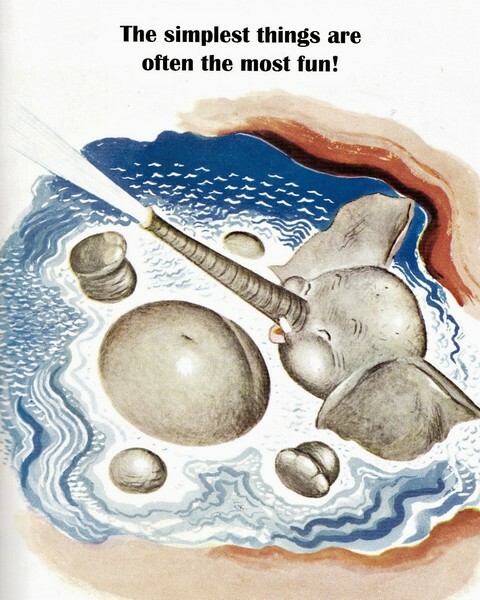 For more than 70 years, Little Golden Books have provided stories (and information) about everything from the importance of exercise and managing money to finding contentment in the simplest things. 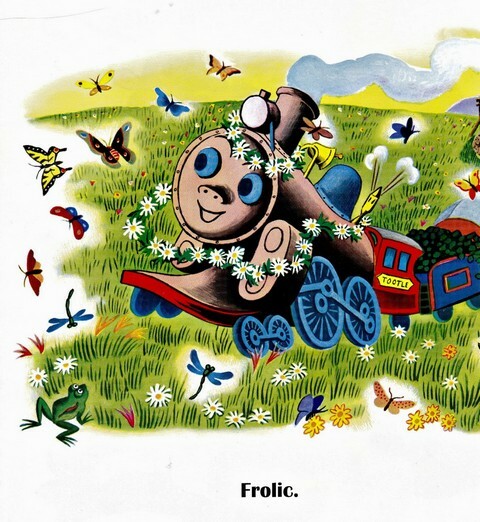 Although many illustrators contributed to the Little Golden Books series (including the instantly recognisable Richard Scarry), the books always maintained a distinctive, quaint style. Muldrow has selected illustrations from more than 60 classic titles, including The Poky Little Puppy and The Little Red Hen, and paired them with advice for adults. It begins with the simple question “Is your life starting to feel like a circus?” and if so, “Don’t panic…. Today’s a new day!” And therein follows a bunch of rules for living well – get some exercise every day, daydream, make music a part of your life, be a hugger, turn off the TV from time to time and crack open a book, savour the seasons, stay curious, be open to making new friends even if you’re very, very shy. It’s simple, wholesome stuff and yet it’s amazing how often we forget the basics! I think most parents can appreciate that ‘cultivating contentment’ and ‘taking a mental health day now and then’ is enormously beneficial for the whole family. 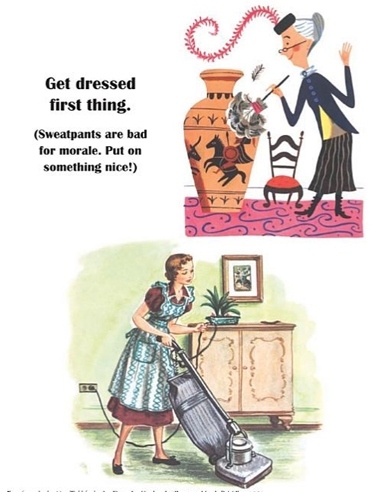 Likewise, ‘Get dressed first thing (Sweatpants are bad for morale. Put on something nice! )’ rings true, particularly when I think back to days at home with a newborn baby – everything was better when I managed a shower before noon! 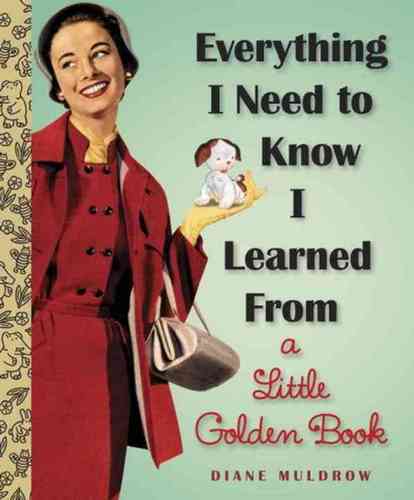 Find Everything I Need to Know I Learned From a Little Golden Book at Book Depository. Coming soon is Everything I Need to Know About Christmas I Learned from a Little Golden Book . Book Depository deliver free to Australia.